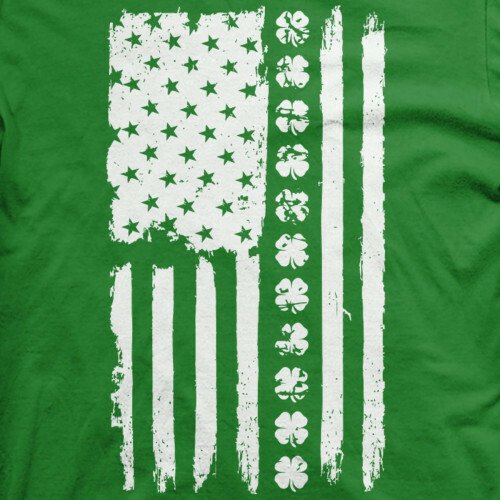 Whether you’re headed out for a St Patrick’s Day celebration or just looking to show off your proud Irish heritage, this is one Irish graphic tee you’ll definitely want to add to your collection. 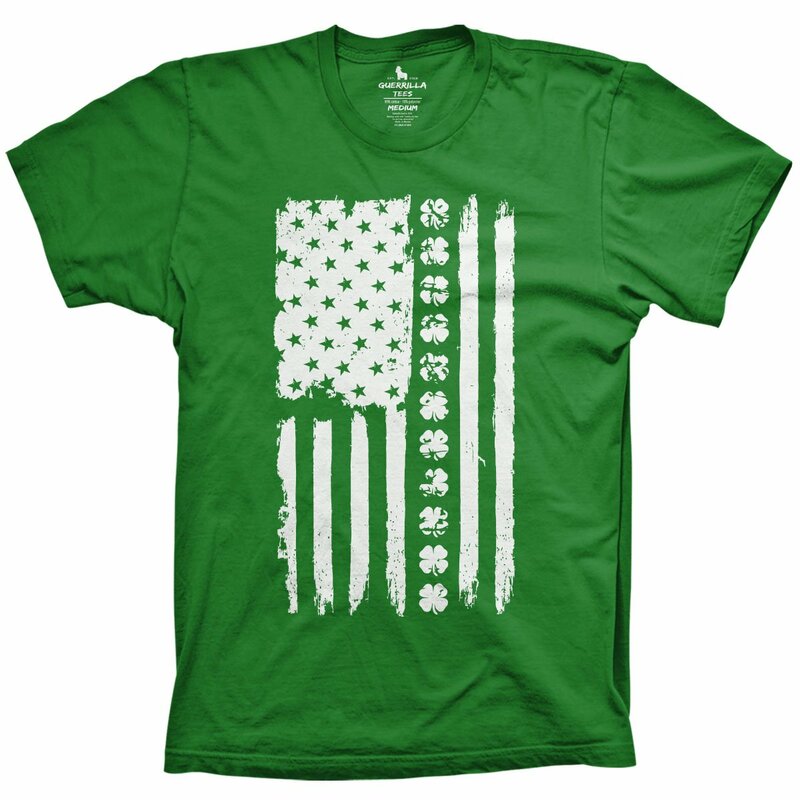 The Irish Flag t-shirt from Guerrilla Tees comes in emerald green with distinct white graphics of a US flag accented by a stripe of eye-catching shamrocks. It will look great while celebrating with friends, taking in the festivities or going fisticuffs with shenanigan-minded drunks. Guerrilla Tees has one of the best collections of hilarious Irish and Drinking shirts for men and women, check them out and come back often to see the latest designs!